The Puget Sound region is home to so many great hikes – both rural and urban, that it’s easy to pick a new trail every time you’ve got a day off. The Des Moines Creek Trail is a nice and easy 2.2-mile urban hike along a mostly smooth asphalt trail out to the Des Moines waterfront. It’s also great for a low-key bike ride, some inline skating, skateboarding, or a chill roll in your wheelchair. 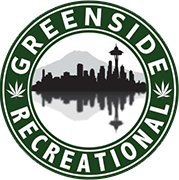 Before you head out for your hike, swing by Greenside Recreational in Des Moines for just the right weed. Because what’s better than going hiking? Going hiking while you’re nice and high! Just remember to never use cannabis in a in a public park or federal land — get high before you go and choose a designated driver. That said, we invite you to check out the huge selection of some of the best pot strains available in Washington State. If you’re on a budget or just love a deal, hit up the fire sale or browse the specials. You can even order online for same day pick up. The Des Moines Creek Trail starts just south of the Seattle-Tacome International Airport – and winds it’s way through the wooded Des Moines Creek Park, along a gurgling creek down to the city’s marina. Rarely crowded, the park has the basic amenities like benches, drinking fountains and picnic tables, as well as a network of mountain biking trails to explore. On the south end of the trail you can enjoy a stroll or a roll over the water on the long pier. Parking is available at the north end of the trail in Des Moines Creek Park at 2151 South 200th Street – and on the south end of the trail in Des Moines Beach Park at 22030 Cliff Avenue South.